Plantronics P620 Calisto Speakerphone (PC+Mobile) - Headsets Direct, Inc. The Calisto 620 has been discontinued. 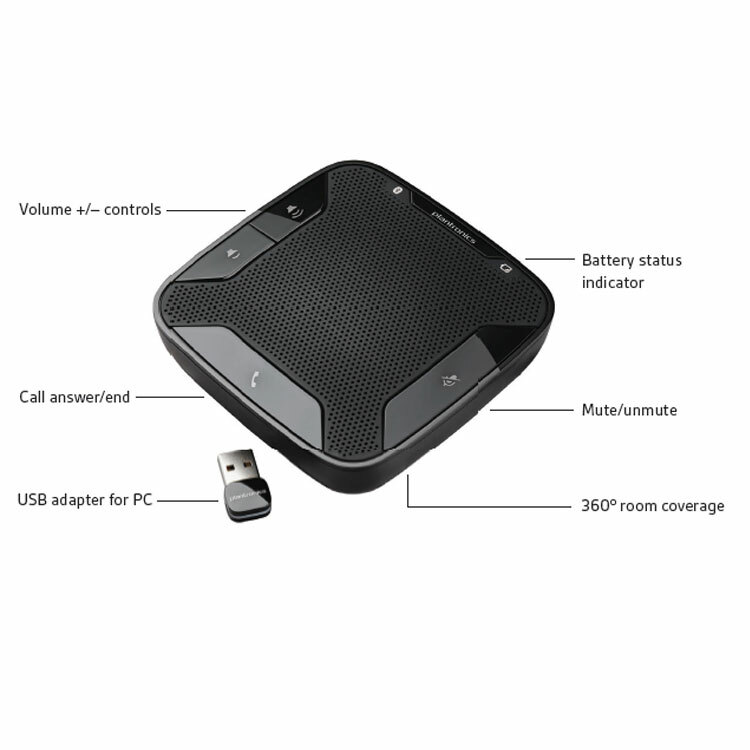 Click to view latest speakerphone options. 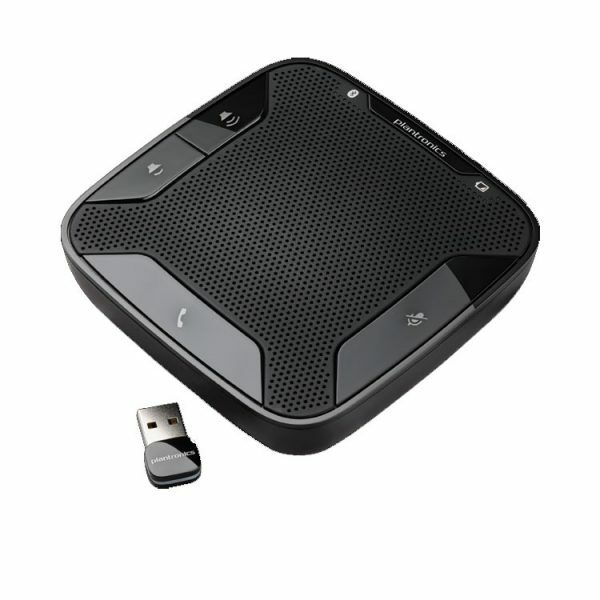 The no cord, no fuss UC speakerphone.The perfect tool for impromptu conference calls, the Plantronics Calisto® 620 is a portable wireless UC speakerphone that instantly transforms your laptop or smartphone into a high-quality conferencing device. Small and lightweight, the Calisto 620 provides professional-sounding audio and wireless connectivity, wherever you touch down. 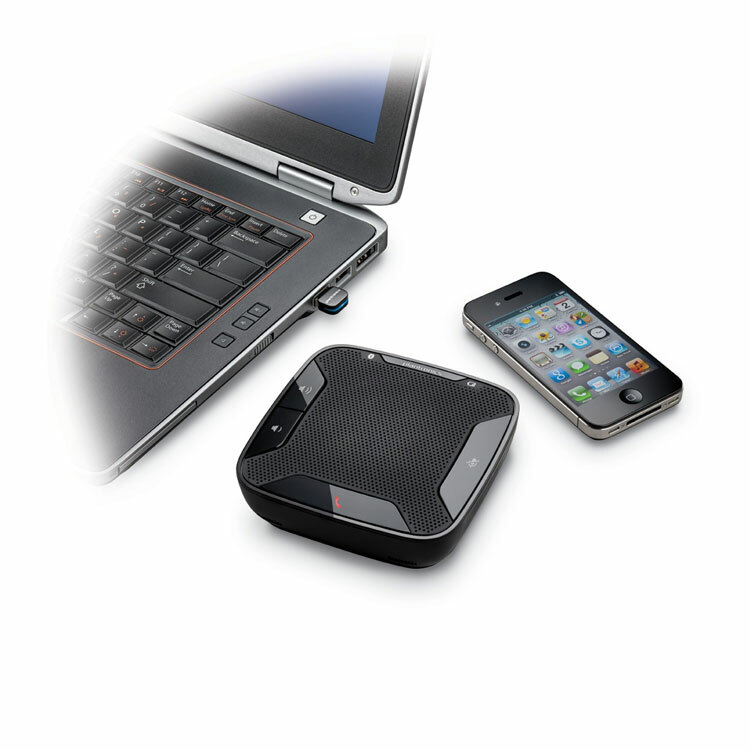 The perfectly portable, wireless speakerphone that takes UC on the road. It’s designed to simplify call management with an easy interface for answer/end, mute and volume on your laptop or smart phone, and it comes with a Bluetooth® mini USB adapter for always-ready PC connectivity. 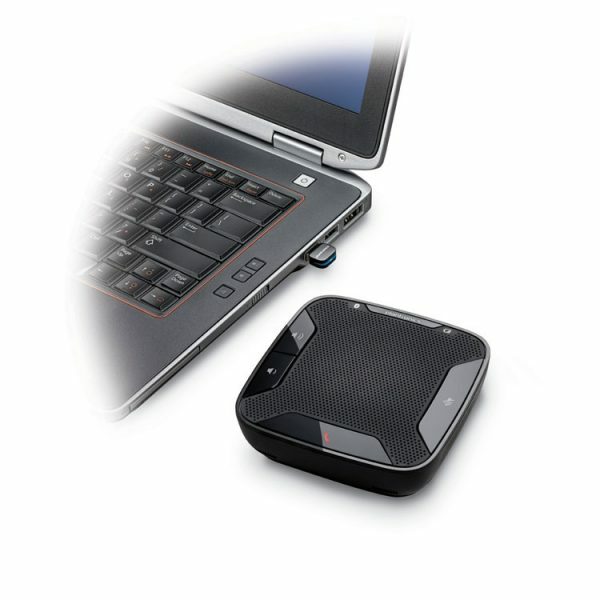 With its own high-quality travel case, the small, lightweight speakerphone is the right size for your laptop bag or carry-on, without cords or fuss. Offering unmatched audio clarity, the Calisto 620 features 360° full duplex audio and Bi-directional microphones that activate in the direction of the speaker’s voice so callers hear you—not your background. PC wideband audio and Digital Signal Processing (DSP) reduce drop-outs and echo with Acoustic Echo Canceller. Integrated A2DP lets you listen to streaming media from your mobile device, including your favorite songs, podcasts and more.